A former Procurement Manager, Marketing Materials, Central Africa with Unilever Nigeria Plc, Mrs Grace Okafor, has sued the company for alleged assault, demanding N100m in damages. 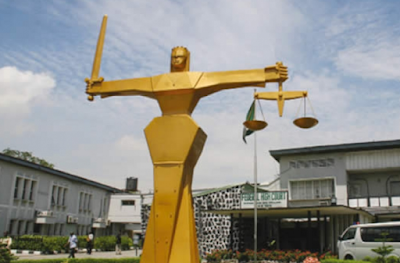 In the suit she filed before Justice Kazeem Alogba at the Lagos State High Court in Igbosere, Okafor wants the court to declare that Unilever was “vicariously liable for the unlawful and unjustifiable interference with the claimant’s person” by Mr Segun Oguntoyinbo, who works in Unilever’s Human Resources, Customer Development Department. Oguntoyinbo was joined in the suit as the second defendant. Okafor is also urging the court to declare that Unilever and Oguntoyinbo violated her right to personal liberty, guaranteed by the constitution, when they allegedly detained her unlawfully on Unilever’s premises. She wants the court to compel the defendants to tender an immediate and formal apology to her and to pay her N100m in damages and another N1m, as the cost she expended in filing the suit. Okafor, in her statement of claims, said trouble started sometime in October 2013, when in the course of her duty as then Unilever’s Procurement Manager, Marketing Materials, Central Africa, a supplier offered her a bribe which she turned down based on her moral principle and reported to her employer in line with the company’s code of policies. She said based on her report, the said supplier was blacklisted by the company. Displeased, the supplier, according to her, sued Unilever but the court gave judgment in Unilever’s favour. She claimed that the alleged bullying eventually led to her being redeployed and demoted and eventually being sacked. She claimed that she was assulted and battered by Oguntoyinbo on the company’s premises on February 16, 2017. The case is pending before Justice Alogba.